Withings is now back to being owned by its original owner after a sale to Eric Carreel, who co-founded the company ten years ago in 2008. The news follows confirmation of a sale from Nokia Health. Nokia Health bought the Withings health brand back in 2016 and slowly relaunched its connected scales, fitness trackers and other health products with the revamped branding. Today's announcement confirms the return to the Withings name, so the Nokia Health title will begin to be phased out in trade for the original name again in the future. That means you'll likely start to see fitness trackers and other health products with the Withings title by the end of the year. Withings plans to introduce new health products soon too, but whether these will be consumer devices to track your health remains to be seen. Carreel said, "From now on we must concentrate our efforts on developing tools capable of advanced measurements and the associated services that can help prevent chronic health conditions. 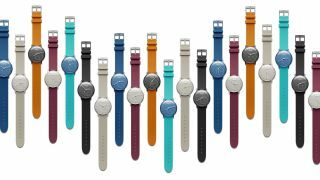 Previously Nokia Health had intended to focus more on business-to-business well-being technology, so it may be the Withings brand continues with that focus or we may see future consumer products instead. Carreel's quotes above suggest the company will focus on products that are more in-depth tools than the fitness trackers and other Nokia Health devices the brand previously provided. Hopefully we'll start to see more health products you can use in your daily life with the return of Withings, but for now you'll still be able to buy devices like the Nokia Steel HR and Nokia Sleep instead.